Want to connect with Areen? 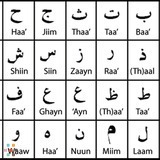 I am an Arabic Language tutor (Native Speaker). I have been a teacher for 5 years back home before I came to Calgary with my husband. I would like to use my experience and skills to teach Arabic for Arabic and non-Arabic speakers, children and adults. From my experience in teaching I gained the skills to build a curriculum to teach Arabic in a way you become strong in speaking, reading, and writing which all go towards improving your communication skills. Each class is one hour long. Speaking money wise, I am okay with what you are comfortable paying. Please consider the cost will be less if you travel to my place than if you want me to come to your place or meet somewhere outside. If you are interested please email or text me.